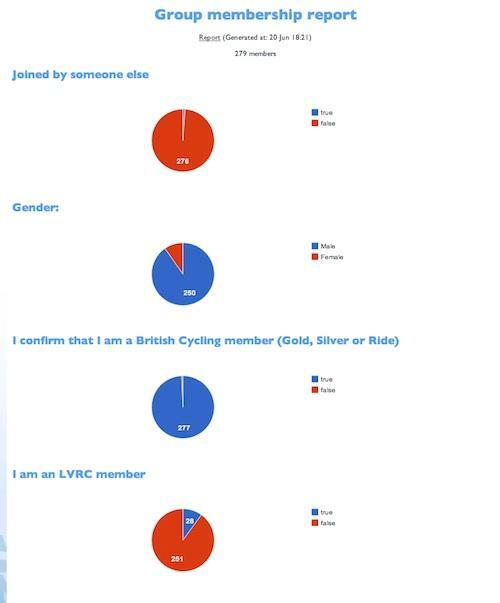 What proportion of members are which ages? What's the balance of men/women in the club (now, in the last 3 months, 6 months etc.)? How many members are BC / CTT / CTC members? How many members were joined by someone else? You can save reports so that they can be accessed in a couple of clicks, so you can print out a 'dashboard' report with answers to these sort of questions and take it along to the committee for discussion. 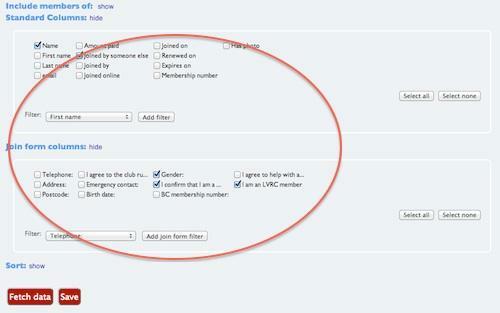 On your group page, click 'Create report' - don't worry about selecting a membership type - you can run these reports across all group memberships that share the same form..
Voilà! You have a one page printout showing your membership summary (hover over the graphs to see percentages and detail breakdowns).